Route 130 is a route that few people remember. There are no special Pokémon here and there are only 2 trainers here in Ruby and Sapphire, 3 in Emerald. 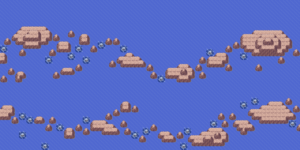 However, this route does contain Mirage island... If you're lucky enough to find it that day. 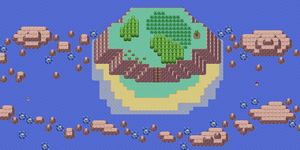 Mirage island will appear here where you can find a Liechi Berry and wild Wynaut. This page was last edited on 27 November 2018, at 04:32. This page has been accessed 38,806 times.